It’s that time of year when Agricultural Fairs and Grange Fairs begin to take center stage. Many Granges across Connecticut host Grange Fairs (of all shapes and sizes.) How does your Grange promote your Fair? Do you have a Premium Book or Flyer? Do you issue Press Releases? Do you have posters hung around your town? Are you talking about your Fair on Facebook and Twitter? Do you send out an e-mail to all your members? And most importantly, do you start EARLY with your promotions? Granges need to use all the standard promotional methods to get the word out to the public about their Fairs - but to take it to the next level requires thinking outside of the box. 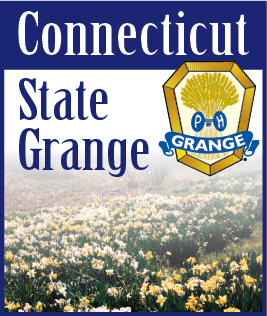 Here’s a few suggestions and ideas that each Grange can utilize when promoting their Fairs.